You are here: Home / scicu-news-releases / Quo Vadis? Two weeks ago I had the pleasure of participating in my first SCICU Retreat as president and CEO. I very much appreciate the dedication to SCICU of the college/university presidents and trustees, upon whom I have the good fortune to rely on for their wise counsel. 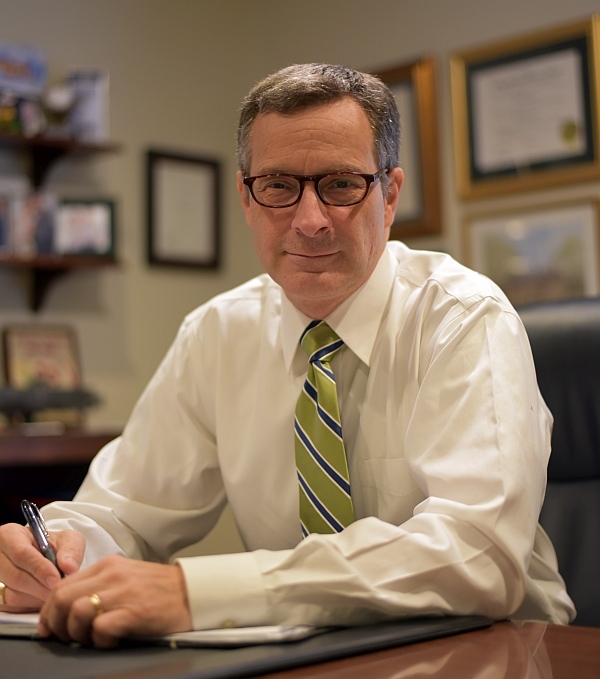 I entitled our roundtable discussion “Quo Vadis?”, which is Latin for “Where are we going?” I asked the college/university presidents and trustees to think about an inflection curve, which tracks the evolution of an organization. Typically, organizations will grow — up to a point. They inevitably will face new circumstances which, if they adapt, will permit continued growth and even greater success. If they do not respond, they decline. 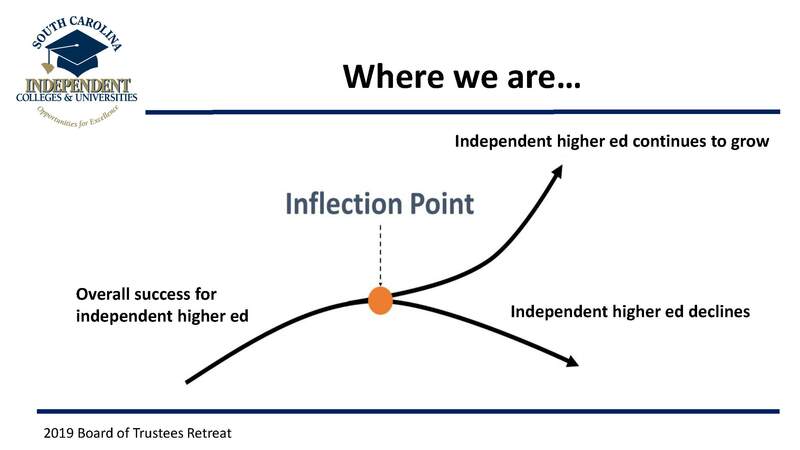 Note the “inflection point.” That’s the moment of truth for organizations, including those institutions that are a part of independent higher education. It is at this point that “doing what we always have” will no longer work. Considering the organizational experience of our presidents and trustees, I asked them each to mark an “X” where they thought independent higher education — not individual institutions — were on the curve. Interestingly, virtually everyone put their “X” somewhere within a small circle around the inflection point. They recognized that independent higher education faces an unprecedented period of volatility and change. Any one of demographics, heightened competition, or technology would be considerable to confront, but our colleges and universities face all three, and more when including the increased distrust of higher education generally, and an eroded faith in the liberal arts specifically. Fortunately the 20 SCICU member campuses have the inspired leadership necessary to move our institutions forward. But they can’t do it on their own. They need all the help they can get. Together our SCICU trustees are a formidable network and source of support for our campuses. We are grateful for our individual and corporate donors, and to public officials at the state and federal levels who have expressed appreciation for independent higher education in South Carolina. And in endeavoring to facilitate the efforts of its member institutions, SCICU faces its own inflection point. We must look at our own operation to ensure we are functioning efficiently and applying resources in a manner that will be of greatest benefit to our member institutions. I am committed to charting a course that will adapt our organization to meet the changing needs of the campuses we serve.